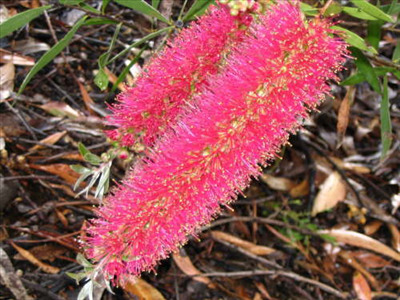 A fast growing bushy shrub with large pink bottlebrush flowers in summer-winter and soft pink new foliage. Prune for compact habit. Excellent screen or hedge. Attracts hummingbirds.